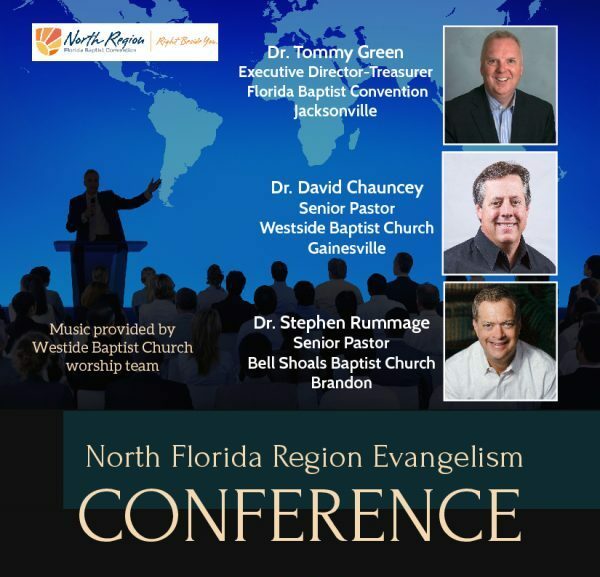 Pastors and church leaders were blessed earlier this week as they gathered at Westside Baptist Church in Gainesville for the North Florida Evangelism Conference. Special guest speakers included Tommy Green, executive director-treasurer of the Florida Baptist Convention, Stephen Rummage, senior pastor of Bell Shoals Baptist Church in Brandon, and David Chauncey, senior pastor of Westside, the host church. In addition to powerful preaching and a special Q & A with the panel, guests were treated to a steak dinner and plenty of heartwarming fellowship. Mike Tatem, senior pastor of Parkview Baptist Church in Lake City, said he enjoyed the opportunity the conference afforded him to be reminded to do the work of the evangelist just as Paul reminded Timothy. Tatem said Westside’s hospitality made him feel like a part of the family and added to a great night overall. 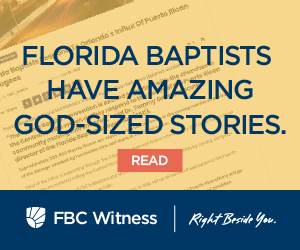 “I am grateful for the generosity of Florida Baptist churches that enable these types of conferences [to happen] and for Tommy Green’s desire to invest Cooperative Program resources toward strengthening churches and encouraging pastors,” he said. “It was a good opportunity for us to reflect on our recent evangelistic efforts and renew our passion for personal and corporate evangelism as Dr. Tommy Green challenged us to ‘proclaim the good news of the Gospel with great boldness instead of merely preserving and protecting it,’” Jones said.